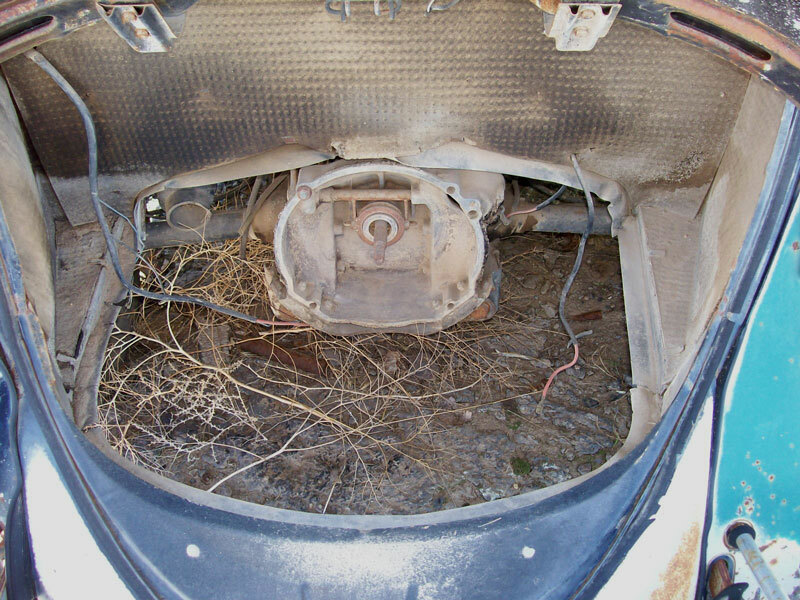 This black 1965 VW Volkswagen Beetle Bug 2 door sedan is a mostly complete rolling body and chassis ready to be restored. The left front fender is missing. There are dents in the front of the right front fender. There is rust on the insides of the running boards. The rest of the body is solid and straight. The hood is loose. The tail light lenses are broken. The black and red interior is all there. The gauges and dash are complete. The floors look solid. 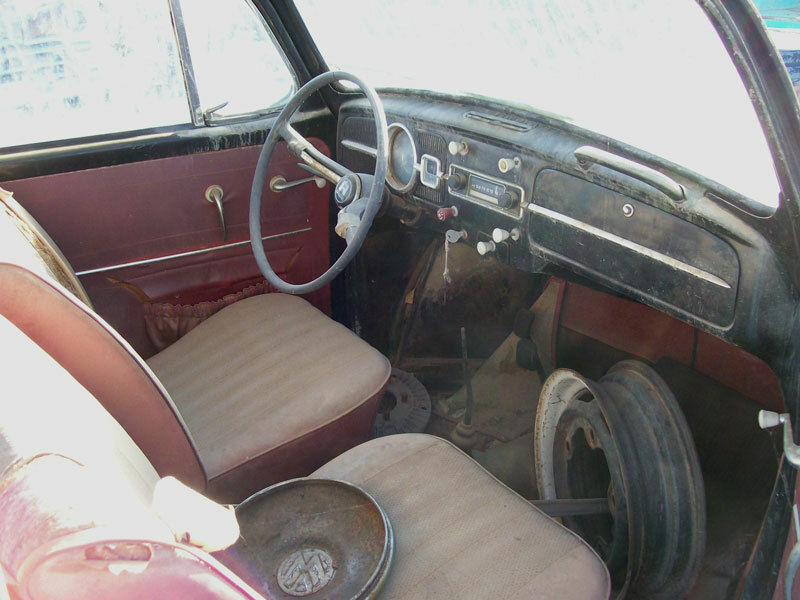 The pancake 4 cylinder 1200 CC motor, clutch and engine compartment components are missing. 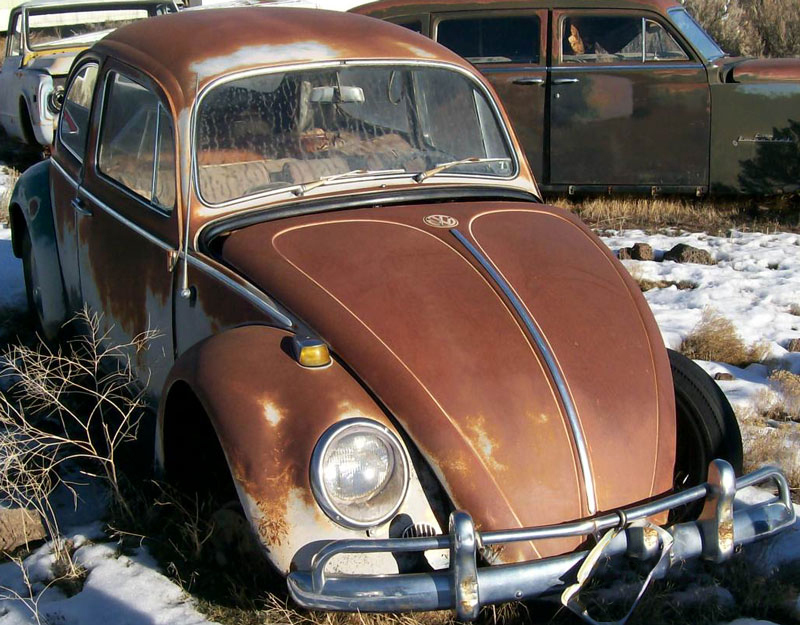 Don't miss this chance to build a 65 VW Bug. 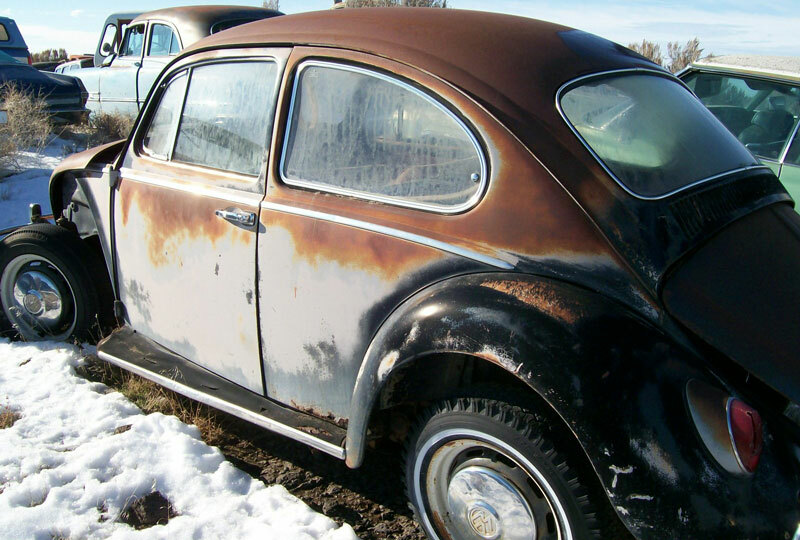 Please call (406) 318-0270 for details about this restorable classic 1965 Volkswagen Beetle project car. For sale $3,000.